My February book choice was a sudden choice in the spirit of Valentine’s Day. 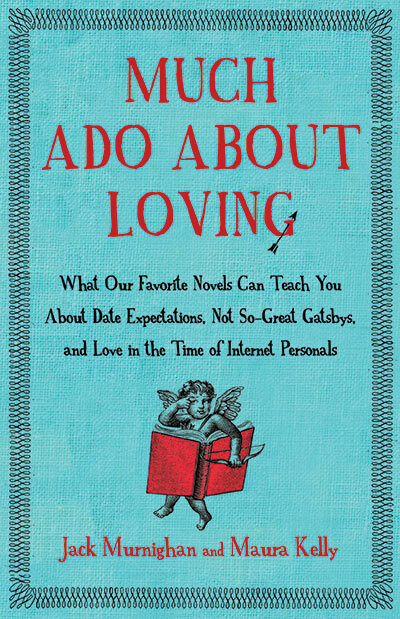 I will be reading “Much Ado About Loving” by Jack Murnighan and Maura Kelly. I picked this book up last weekend at the bookstore and was instantly hooked in reading more about it. I didn’t plan on reading such a new book so soon, but I thought this would be appropriate given Valentine’s Day is just days away. The book uses some of our favorite novels to teach us about date expectations, not-go-great Gatsbys and love in the time of Internet personals, according to the cover of the book. The two authors turned to their favorite novels by great novelists to tell the story of romance. So I hope you will all read along, because from what I read last week, this is definitely going to be a fun read!